Thomas Schneider proudly owns and operates Sunrise Anglers, LLC. We are a guide service that produces some of the finest fishing experiences in the state of Colorado.  Partnering with The Orvis Company, Sunrise Anglers is dedicated to offering you the best guides in the business and superior customer service. Word of mouth testimonials have always worked for us, and we feel our greatest strength. If you are happy, you will tell your friends. Simply, that's how we want to grow. Great Clients, one at a time. 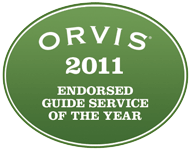 Most of our staff have been guiding for over 20 years, not just fishing. There is a big difference. Our Guides provide you with the expertise and knowledge of both the waters you are fishing but also the tactics and techniques necessary to put you into fish. Sunrise Anglers provides everything you need for a day out on the water. No “ Extra “ charges here, save a fishing license and if requested, private water. On full day floats and walk wades, our stream side meals separate us from the typical guided fare. The state of Colorado offers exceptional waters on both sides of the Continental Divide. We cover water from the Cache la Poudre, Big Thompson, Rocky Mountain National Park, St Vrain, Boulder Creeks, Clear Creek, and finally the South Platte Drainages. To the west and over the divide, our leases on the Blue, Williams Fork, Colorado, Roaring Fork watersheds allow for drifting and weeklong expeditions. Our South Park leases allow you to go after exceptionally large fish without fishing at a man made trout farm. Although we have miles of private water, we prefer to fish world-class public water. We have spent countless hours and expense acquiring the water we fish. We will absolutely never put you on water that we do not hold leases and permits to legally fish. Do your homework and find the legal guide services permitted to be on the water you want to fish. Sunrise is permitted for more miles of water than any other guide service in the state. With Bureau of Land Management, National Forrest, Colorado Division of Parks and Wildlife, National Park Service, and County Agency permits, we can design the dream trip that exceeds your expectations. The diversity of options give YOU the choice to be on the RIGHT WATER at the RIGHT TIME. Sunrise Anglers can accommodate any size group. From ONE on ONE business meetings, to Hundreds of clients on the infield of MILE HIGH STADIUM. We handle "IT." Sunrise Anglers guides for really anything that swims. Check our Guide trip section in the menu for ideas on Urban floats, High Mountain Reservoir opportunities, and multi-day excursions through the heart of Colorado's backcountry. Our Cabo san Lucas destination trips on have exploded in popularity. Although Sunrise prefers the long rod, we cater to all types of fishing. Most anglers started with conventional gear. For those who prefer to use conventional gear, Sunrise Anglers LLC has all the latest terminal tackle. Finally, we regard your SAFETY as the highest priority. Every trip is planned with that in mind. Our guides have taught children from 5 to sages of 85. We look forward to see you back again and again. Please take a moment to see WHO WE LOVE TO SUPPORT. These Organizations, Foundations, and Charities work hard to promote a better world for us all. We believe that it is truly better for mind and body to GIVE, rather than to receive. Some of our most memorable trips have come from donating our time, money, and efforts to all these fine folks. Check them out and you may find yourself investing YOUR talents.